Dark, addictive, mysterious, exciting, spooky, seductive, magical … How many more adjectives could be added to define the Halloween party? One thing is certain: the Halloween spirit is contagious. Perhaps this is why today the Halloween party is one of the most heartfelt and celebrations spread throughout the world and of course also in Italy. Since its beginning, long time ago, Halloween has helped men to stimulate people’s creativity, to familiarize with their fears, to look at reality from another point of view. For the Celts, Halloween was a way to greet the arrival of winter. For the early Church was the eve of All Saints (All Hallows Eve). From the fifties it became the children’s festival and the nice motto Trick or treat?. In recent years the night of October 31 is celebrated as a feast fantasy: a sort of irreverent carnival macabre. Today Halloween can be considered for all purposes a globalised party, with many different ways to be celebrated in different parts of the world. With Halloween coming the highlight will be Saturday, October 31 and Sunday, November 1 – there are opportunities to celebrate for young and old people, one of the most entertaining parties and “appalling” inherited from the Anglo-Saxon world. However Halloween was often in the ancient culture also a celebration of abundance, because it marked on the calendar as the last day of the year for the peasants. The pantries were filled, flocks away and was preparing for a rest in the long winter holidays. With the rise of industrial civilization mature, with its excesses depersonalizing spread in modern man the desire to rediscover the ancient rural traditions and to restore a forgotten relationship with nature. Halloween was there, ready to exert all the charm of an ancient festival, liberating, enthralling, subversive, where the rules of ordered society could be called into question, at least for a day. Here are the events not to be missed. Among the highlights Halloween in Borgo a Mozzano (Lucca). Classic appointment with the horror in the province of Lucca: The Dark Night of Halloween in Borgo a Mozzano and the cycle of events connected 29 to 31 October. Lucca and Garfagnana – magical lands of Tuscany, rich in traditions, legends and local mysteries – are the ideal setting to host the most famous Italian Halloween’s event, whose first edition was held in 1993. Borgo a Mozzano (Lucca) devotes a rich program of events for the celebration of Halloween, celebrated on 29 to 31 October of each year. Among the most anticipated attractions in the program: Passage of Terror, Ghost Experiment, Haeretica, The Night of Lucida, The Wrath of Lucifer. The Black Night is an interactive game where the audience is the star set in the land of the vampires of Tuscia. After the extraordinary success of last year, the story continues with new puzzles and a thousand questions. The Passage of Terror is a forced path in which there are scenes and situations in key horror-thriller. The audience enters in small groups and is a living part and parcel of this spectacle of thrill. Ghost Experiment continues the fascinating journey into the world of the supernatural. Getting ready for the highly anticipated 2015 experiment scheduled for October 29, edited by the Ghost Finder Italy. The Night of Lucida: The noblewoman Lucida Mansi will be released every year by the hell in the company of the high Lucifer in which the hapless offered his soul. Glossy retrace his life up to sink again in hell. Haeretica 2015: Halloween Celebration annually presents numerous musical events. Groups and orchestras and all kinds of alternate in every street and cranny of the city’s historical centre, giving life to a unique and continuous. Over Look Cinehorror: Enter the Overlook Motel and dive for 11 hours in the best horror movies. From 21.00 to 8.00 am a non-stop thrill with bar service throughout the night and certificate of survival. As night fell also in the amusement park of Mirabilandia in the province of Ravenna it is the right moment to go and celebrate the Celtic feast. The date is Saturday, October 31 and Sunday, November 1 in three different Horror Zones, in the company of zombies and strange creatures. Monsters, skeletons, spiders and vampires come back to populate the streets of Gardaland, the famous amusement park in the province of Verona. On the evening of October 31, doors open up to midnight to enjoy all day the theme shows and participate with the zombies at the Halloween Party in the Valley of Kings square. 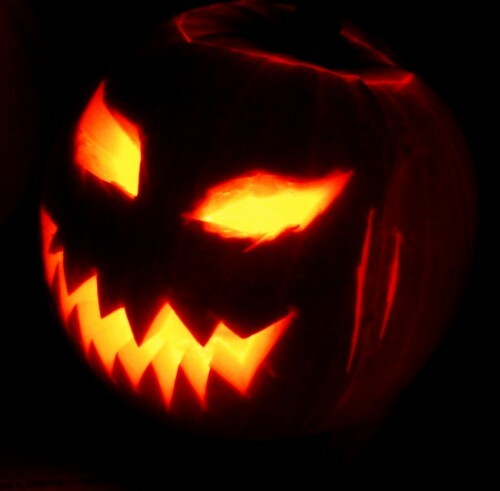 For those who want to stay the night there is a special package Magic Halloween. This entry was posted on Friday, October 30th, 2015 at 11:00 am	and is filed under Events in Italy. You can follow any responses to this entry through the RSS 2.0 feed. You can leave a response, or trackback from your own site.